Tools for software development process management have improved and became more and more simple allowing every organization to follow the right process methodology. The development process covers many different domains and it is complex to have a one tool for all. Integration between tools becomes a solution. At RochSystems, we love OpenSource technologies. And this is why we have developed sentry-taiga plugin to integrate Taiga.io, a nice project management system with Sentry, an application error tracking system. 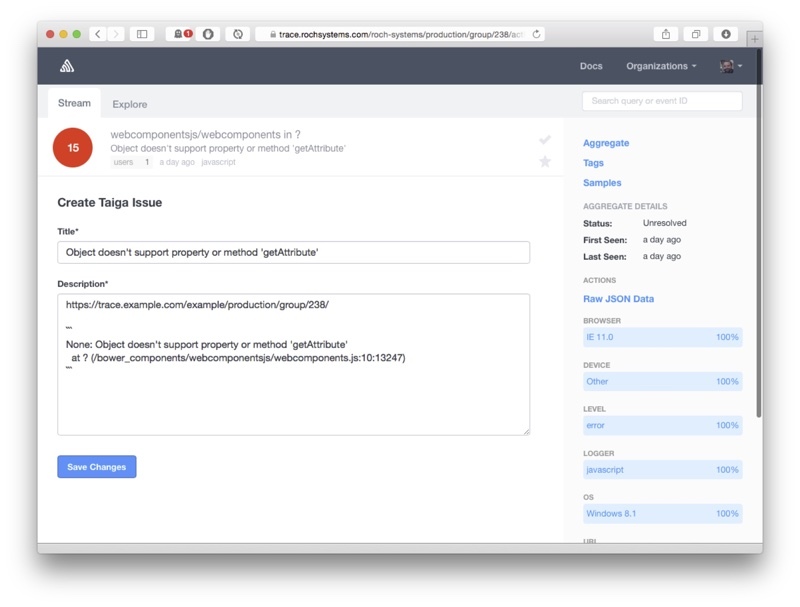 sentry-taiga integrates Sentry application exceptions into Taiga project issues. … All done! There is no 3rd step. 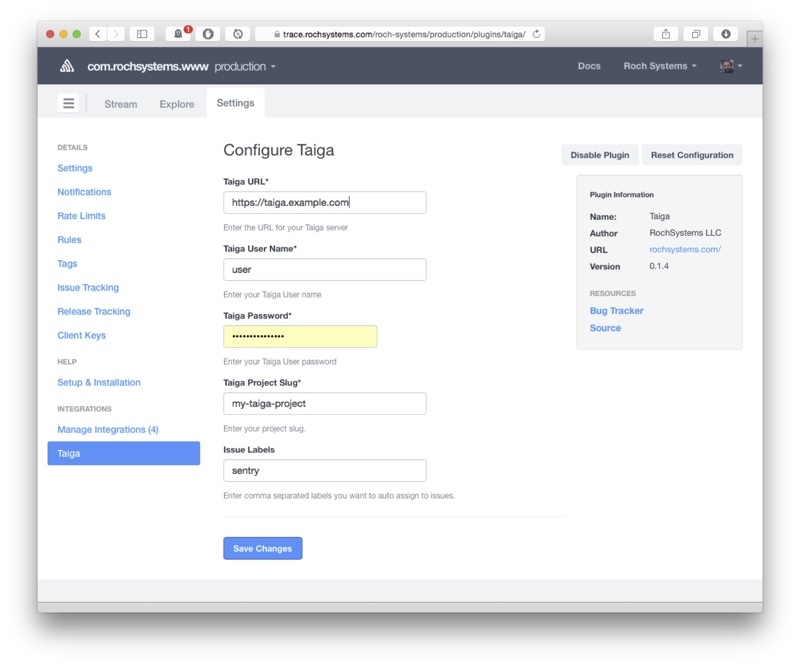 Once sentry-taiga is installed, it’s time to configure Taiga url, credentials and project. We are passionate about our work and we will love your feedback.